As a company that focuses on AC repair in Fort Mill, SC, Penguin Cooling & Heating prides itself on serving the Fort Mill and Charlotte area at an industry-leading standard. 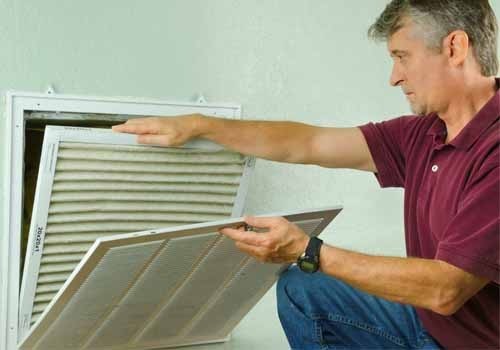 Our team of on-call AC technicians are EPA certified and licensed to perform AC repairs, installations, the replacements. Plus, our work is backed by a 100% Satisfaction Guarantee. For AC repair in Fort Mill SC, Penguin Cooling & Heating should be your first call! Do You Need AC Repair IN Fort Mill, SC? For years, it was a challenge to find AC repair in Fort Mill, SC. 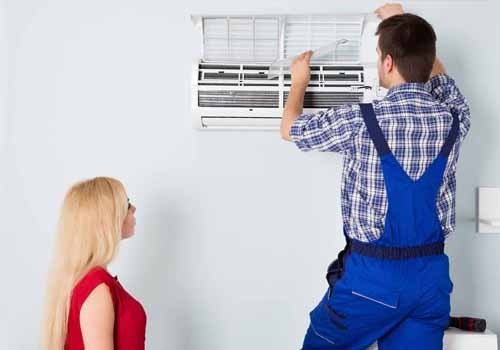 However, with our arrival on the scene, we have quickly established ourselves as the most trusted source for on-the-spot, scheduled, and emergency AC technical support. Open 365 days a year for your convenience, our highly-trained team offers the most affordable AC repair in the Charlotte area. Our team offers a host of AC repair services, among many others. Right now, a team of highly qualified and fully insured AC technicians are waiting to respond to AC repair, installation, replacement, or maintenance calls. If our services are at all unclear to you, here are our top three most popular services we offer customers in the Fort Mill, SC area. On the best of days, installing an AC system is no walk in the park for an untrained individual. Luckily, our team of dedicated AC engineers can help you take control of your building’s climate by installing and testing your new air conditioning system. With fast, same-day service available, our team can arrive at your door in no time to let you kick back with your feet up while we take care of the heavy lifting. Plus, we won’t walk off your lot until you are 100% satisfied with our workmanship. Far too often, AC repair is put off until the last second or worse—when it’s too late. That’s why we always recommend acting as soon as possible by scheduling AC repairs when they first arise. Luckily, the staff at Penguin Cooling & Heating are specially trained to detect AC system issues early on and can make fast and affordable repairs on the spot. If you need your AC system replaced, we have your back. When we get your call, we will dispatch a qualified, background-checked, and insured technician to your door. 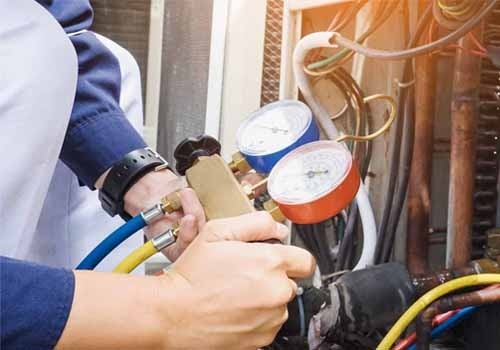 From there, our AC expert will take care of dismantling your existing unit, installing the most appropriate new unit for your circumstances, and run various post-installation system checks. If you need the best quality AC repair in Fort Mill, SC – do not hesitate to call the most trusted team for air conditioning services in the Charlotte area. Our experts charge the most affordable rates in the area and are among the only to receive full EPA certification, licensing, and comprehensive insurance coverage. contact our office today and treat yourself to a cooler home.